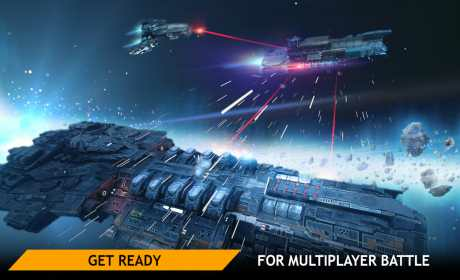 Have you always dreamed of spaceships and space combat space battles? Check out the first mobile online game with direct control of your own spaceship. In Planet Commander, you are the captain of a galaxy spaceship. You start with a small spaceship, but as your character grows and develops, you will end up commanding huge battleships and super-heavy spaceships. Battle online with real opponents in the multiplayer game mode and develop your fleet. The galaxy and space need a commander like you! Become a legend in a galaxy on fire! Let the spaceship battles begin! – 5 spacecraft classes (from light to super-heavy vehicles: frigates, destroyers, battleships, carriers, super heavy warships), each can carry a variety of equipment. – More than 20 spaceships to choose from, entering combat with different tactics. 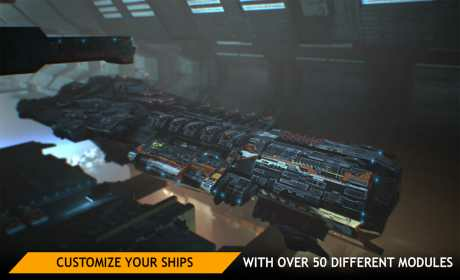 – Each battleship can be fully customized and improved: Planet Commander features over 100 different armaments and modules. You can even add your own logo and repaint your ship! 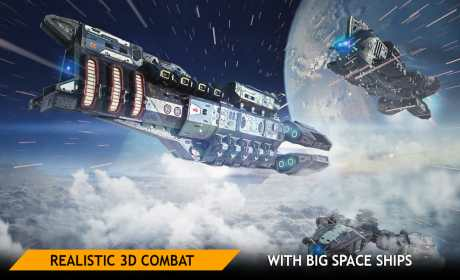 – Beautiful locations: enter battles aboard spacecraft with your squad in space as well as within planetary atmospheres! – Awesome mobile 3D graphics!